4-1 Horror for Man Utd! What th.... Middlesbrough (Boro) destroyed Man United with a superb display of attacking football last night. At the half-time wistle, Boro was leading 3-0 and the horror continued when Gaizka Mendieta scored a fourth goal in the second half. I reckon Man Utd can forget about getting anywhere near Chelsea this season. Even newly promoted club Wigan have more chances! During the game, there were some shots showing visiting Man Utd fans leaving the ground in droves before the final whistle. United substitute Cristiano Ronaldo pulled a goal back for the visitors in stoppage time when he headed in from a right-wing corner by Paul Scholes. It could not even be considered a consolation goal! A Japanese artist has been paid £5000 (RM35,000) of taxpayers' money to drink 48 bottles of beer and then fall off a wooden beam. The "performance", which took place at an arts centre in Cardiff, has outraged members of the local council and caused bafflement among the public, many of whom do exactly that every Friday and Saturday night, without getting paid. However, an arts centre spokesman said: "This wasn't just about a woman drinking a lot of beer. This was a powerful piece of art." Tomoko Takahashi, 39, who performs under the name Anti-Cool, was once nominated for the Turner Prize for her installations of rubbish. She says her performance "comments on the availability and use of mass-produced products". But she is now being accused of encouraging binge drinking. Takahashi put on the performance art show at the Chapter arts centre in the Canton area of Cardiff. The 50 people watching the show, part of a month-long Experimentica 05 season, saw Takahashi dressed in a smart black business suit and high heels, drinking beer from a large bag suspended from the ceiling. They then watched as she tried to walk across a narrow beam 60cm above the floor. The three-hour act consisted of Takahashi drinking more and more beer and trying to see how far she could walk across the beam before she fell off. David Davies, a Conservative member of the Welsh Assembly, not to be confused with the Tory leadership candidate, said: "If anyone is daft enough to want to see a young woman getting plastered and tottering around in high heels, they can do it in just about every city centre most nights of the week. "The worrying thing is that people are making decisions to hand out taxpayers' money like this when they are sober." ahh... Brisbane on a beautiful day! It's been cloudy and raining in the evenings... just like back home in KL. This is interesting... a company has set up operations in China to sell land on the moon for 289 yuan (Approx RM100) an acre, cashing in on renewed interest in space travel after the successful five-day voyage of Shenzhou VI. The so-called Lunar Embassy, touted as the first extraterrestrial estate agency, has started operations in Beijing, the China Daily reported. It will issue customers a certificate that ensures property ownership, including rights to use the land and minerals up to three kilometres underground, said Li Jie, agent for the company in China. "We define it as a kind of novelty gift with the potential of unlimited increase in value," said Mr Li. Lunar Embassy was set up by American entrepreneur Dennis Hope in 1980, 11 years after the Apollo II mission first landed people on the moon. Mr Hope believes a loophole in the 1967 UN Outer Space Treaty makes his property sales legitimate. The agreement forbids governments from owning extraterrestrial property but fails to mention corporations or individuals. Mr Hope said he has 3.5 million customers, including politicians and movie stars, who had purchased land on the moon. The report said China is the eighth country to have a Lunar Embassy after the United States, Germany, Britain, Ireland, Australia, New Zealand and Japan. Mr Li said he had received more than 400 telephone orders from Chinese in the past few days. The company could run into problems in China, though, with the Chaoyang District branch of Beijing's Administration for Industry and Commerce launching an investigation. The Beijing News cited Chaoyang bureau staff as saying sale of land on the moon was not listed as the company's business when it was registered. Took the opportunity to watch the A-League on Saturday since it was Queensland's home game agaisnt league leader, Adelaide. The match was just alright. Nothing to shout about since I've been to the Premier League matches 2 years ago when they had the promo matches in KL. The match started relatively slow with both team had an equal chances at attacking the goal. However, Adelaide played more 'flowy' football than Queensland, who seem to have a problem when they get too near the opponents goal mouth. It's frustrating 'cos watching your team throw away chances after chances! The match ended 2-1 with Adelaide, as expected, with the advantage. IMHO, Queenland's got a fair way to go b4 they become a top team like Sydney or Melbourne. Heard that Queensland's trying to woo Mancheter City's Andy Cole to play in the A-League... yeah right! 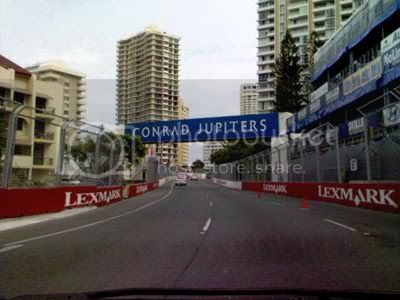 Gold Coast gets ready for racing fever as Indy hits town this weekend. I was down at the coast last weekend and the organizers had the tracks setup already (since this leg is a street circuit). For this weekend, I'll be going for the A-league (yeah... Australians call it soccer, mate!) Haven't been to a game in Australia and so just thought of going for one match to see how exciting it is. I'll be going for Queensland vs Adelaide, who's the current league leader if I'm not mistaken. Hope it'll be a good one. 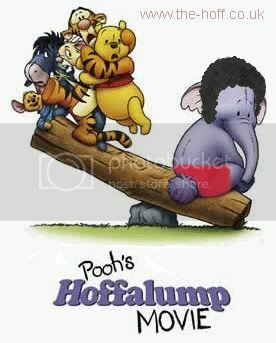 Lately, Hoff-mania has been spreading like wildfire, attacking emails across the globe (If you haven't gotten any... make new friends!). Unlike most TV icons of the Eighties, David Hasselhoff refuses to bow out of the entertainment industry, and continues to inspire bored graphic designers to reach new frontiers. The star is most famous for his performances in Knight Rider and Baywatch, and less famous for this singing career - the Hoff has released three albums, none of which have gained major global recognition (Heard that he's big in Germany). 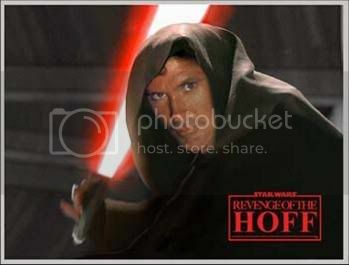 Here are some Hoff pics I find funny.. 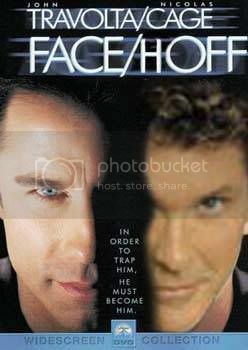 I reckon some graphic designers have nothing else better to do... at least they are making a good use of photoshop. 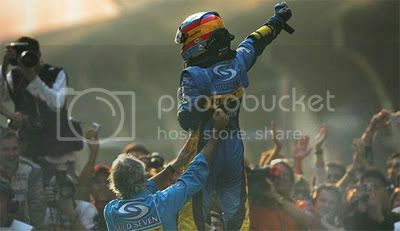 It's over... the 2005 season of the Formula 1 ends with Renault winning both the Drivers' and Constructors' championship. Alonso put on a dominant display as he won his seventh race of the season in Shanghai during the Chinese GP. While obviously happy after the result Alonso says he actually wished he could have won more races. Both he and Kimi Raikkonen have won seven races this season, Alonso’s reliability and consistency has ensured that he won the F1 championship by 21 points. Renault arrived in China two points behind McLaren but leave nine points ahead and the 2005 Constructor’s Champions. Renaults has failed to match the McLaren for pace this year but in China it had more than enough, literally pulling away from the field early on in the race. It's been a good year for McLaren and the team has been really pulling it together this year. The team had realibility problem at the start of the season which ultimately costs the team both the drivers' and constructors' championship. Nonetheless, the team has improved tremendously compared to the last season and looking fwd, things look promising. 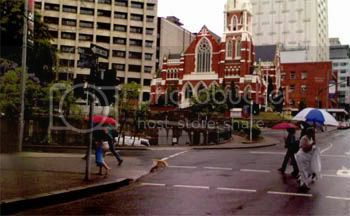 Last week I was complaining about the extremely warm weather in Brisbane and amazingly, the forecast took an opposite turn this weekend with a weekend rain! So far, the temparature fell to 23 degrees celcius! Not bad, I would say compared to last week. Another amazing thing was how Premiership leader, Chelsea came from one goal down to completely trash Bolton 5-1!! Ouch... That's gotta hurt! A film about genetically engineered sheep will be shot in New Zealand next year. Black Sheep, a comedy-horror flick which tells of a genetic experiment gone horribly wrong, is the first project financed under a new alliance between a Korean company and a New Zealand film house. Stuff reports representatives of Daesung Group and Wellington's Park Road Post, which did post-production services for The Lord of the Rings trilogy, The World's Fastest Indian and King Kong, have signed an investment agreement for Jonathan King's debut feature, it was announced in Seoul. 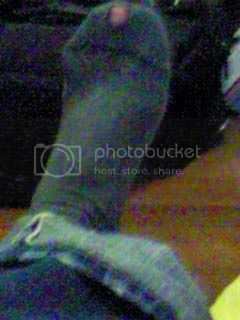 muhahahah.. my socks has a hole! Dunno.. but everytime I look at it, it makes me laugh! What a day! I thought I'm gonna have a quiet week but nothing goes according to plan! Anyways... here's a little thing I received via email that cheered me up... abit. A North American Indian walks into a cafe with a shotgun in one hand, pulling a male buffalo with the other and says to the waiter, "Want coffee." The waiter says, "Sure chief, coming right up." He gets the Indian a tall mug of coffee. After drinking the coffee down in one gulp, the Indian turns and blasts the buffalo with the shotgun, then just walks out. The next morning the Indian returns. He has his shotgun in one hand pulling another male buffalo with the other. He walks up to the counter and says to the waiter, "Want coffee." The waiter says, "Whoa, chief! We're still cleaningup your mess from yesterday. What the heck was all that about, anyway?" The Indian smiles and proudly says, "Training for upper management position! Come in, drink coffee, shoot the bull, leave messfor others to clean up, disappear for rest of day." WHAT A RACE! Kimi Raikkonen charge from 17th on the grid to grab victory in Japanese GP by passing Fisichella's Renault. 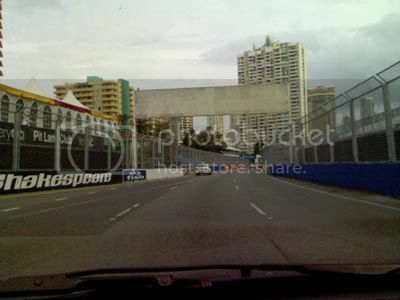 Meanwhile, Kimi's team-mate Montoya was involved with an incident early in the race and that brought the safety car. This has inevitably helped Kimi keep the leaders in his sights. Finishing third is the newly crowned World-Champion, Alonso. He produced some awesome passing moves as he too fought through from a poor grid position. ugh... the forecast for Saturday was 37 degrees celcius! Hotter than KL! At least it cooled down today to around 27-33 celcius. The thing I dun understand is why the $%^&*( is Brisbane much much warmer than the rest? 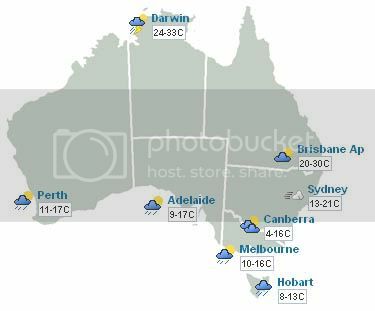 Look at the map below... 20 in Sydney, 17 in Perth and 16 in Melbourne... 30 in Bris? Sigh!!! I want cold weather!!! Sad case... dunno how I am gonna survive the summer. Not really looking for it. Was trying out this new food court in the city with one of my colleague and since he's into asian food we tought of trying out this Jap food stall. 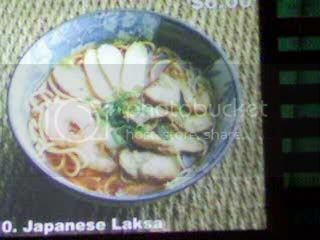 Dunno why they call it Japanese Laksa, but everything else look like curry laksa. Nope, I didn't have a go at it... not worth paying AUD$6 to try a dodgy Japanese Laksa. It's not a secret... I love the KLCC twin tower. The architecture is breathtaking and if you look up from the KLCC lobby, it makes you feel pround of what we as Malaysians managed to achive over the past years. 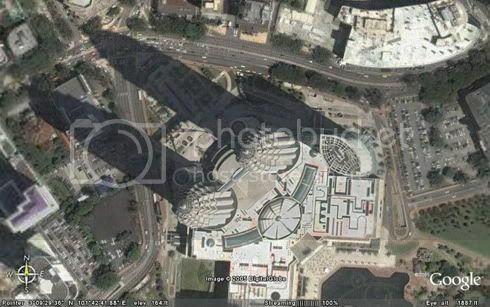 Here a different view of the iconic landmark of Kuala Lumpur. 4-1 Horror for Man Utd! dude..MAN U is so yesterday..They R OUT!! Adios Foreva migo!! The art of getting paid to drink Beautiful Day! Buying land on the moon Saturday Night Out: A-League Just wait until our clubs start competing in the Asian Champions League. It’s a start up league at the moment, but it will get better quite quickly with continued support. The supporters provide the attraction for sponsors. 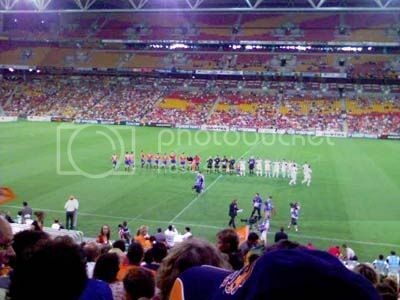 If Queensland were playing against Urawa Red Diamonds in the Asian Champions League, just imagine the interest and how many people throughout Asia would be watching. More than would be watching C*llingw*od AFL or the Br*ncos NRL. teams.